Chucky's coming to #NYCC! 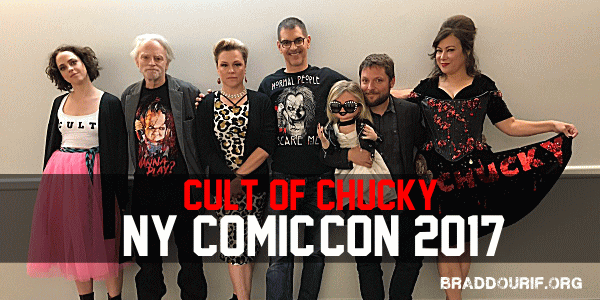 Don't miss the Cult of Chucky panel w/ the cast on Thurs (10/5) at 5:15 PM in 1A06! Get Thurs tix at our site or at any @midtowncomics NYC shop. @fionadourif @JenniferTilly @RealDonMancini Just saw the live stream- thank you for the nice things you said about me&my art? ?